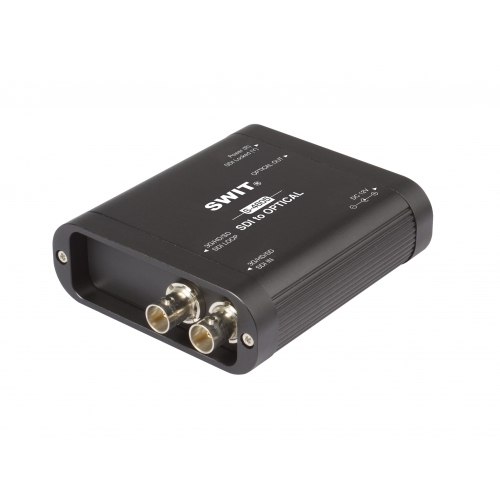 S-4605 is a mini converter for SDI to LC single mode Optical Fiber conversion, widely used on transmitting SDI in a long distance. 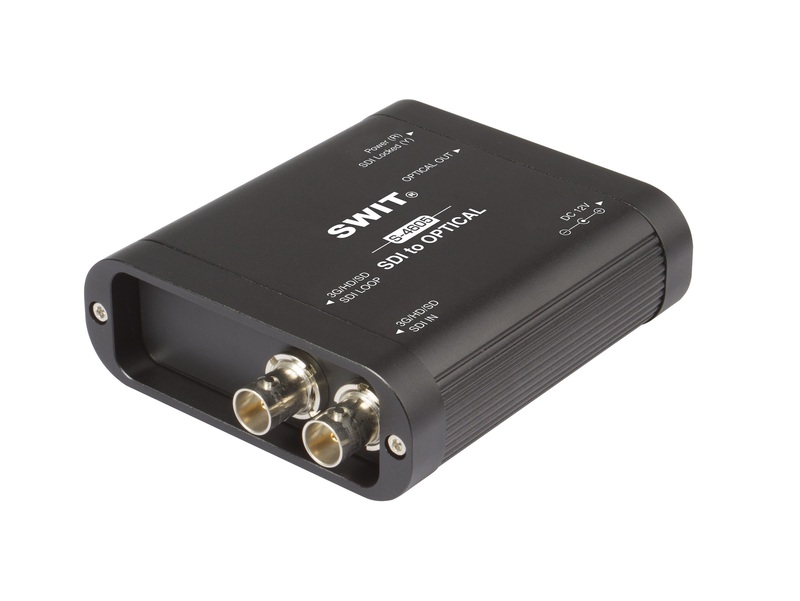 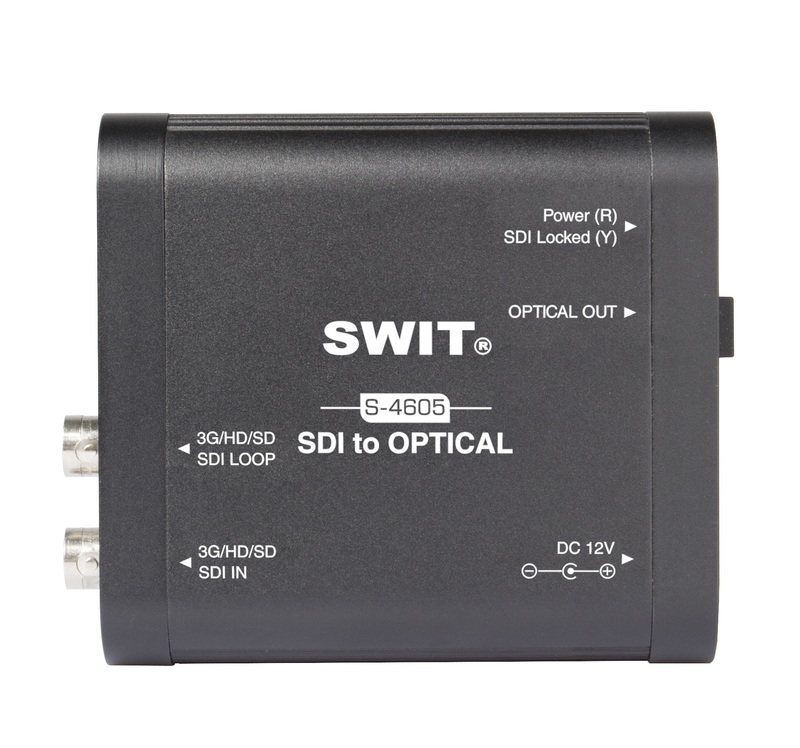 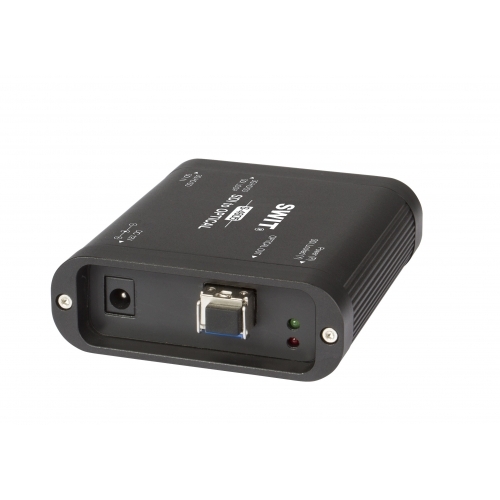 The S-4605 convert SDI to Optical fiber at encoder end, and you can use SWIT S-4606 to convert Optical fiber back to SDI at the decoder end. 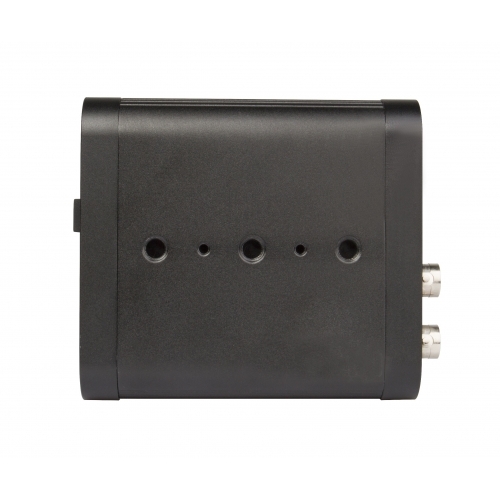 The reliable transmission distance is up to 20km. 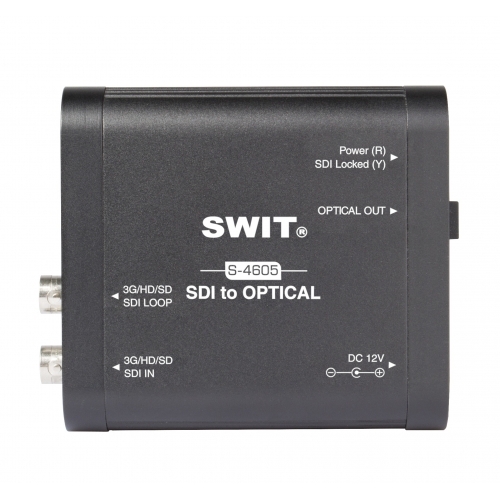 S-4605 provides 2 LED indictors, to check if the power is connected, and if the input SDI is recognized. 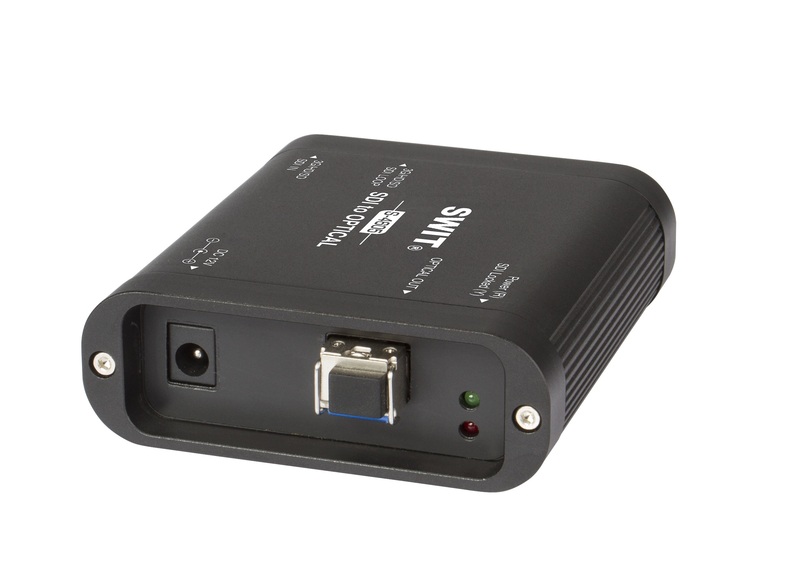 The S-4605 mini converter adopts unibody aluminium alloy housing, strong for field using and protects the BNC connectors effectively. 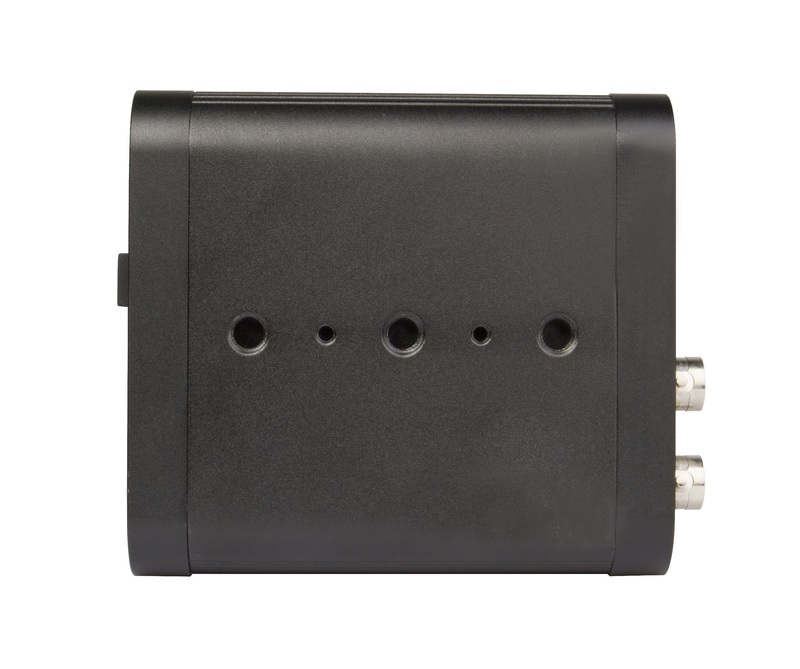 S-4605 provides the bottom 1/4-inch screw threads for fixing on cameras, and an installing plate A-IP00 is supplied in the package, for fixing on wall and binding the BNC cables and optical fibers.